At StorQuest Self Storage in Miami, FL, we encourage you to try new things, live big, and store smart. In addition to household storage units, we also offer climate-controlled storage units that’ll take care of your temperature-sensitive items while you plan your next adventure. These units will keep the temperature and humidity levels just right inside your unit, even with the weather changes outside of it. We go the extra mile to ensure your gear is getting the care it deserves and is ready to go next time you need to make the most of your weekend. And if you’re unsure whether your belongings require this added level of protection, reach out to our storage experts and they’ll gladly point you in the right direction. While many items will be fine tucked away in one of our traditional storage units, certain items may need a little more protection. Climate control is a great option for belongings such as electronics, artwork, and musical instruments. We care about your belongings as much as you do, which is why we strive to exceed your expectations. When it comes to going above and beyond, trust that StorQuest won’t let you down. 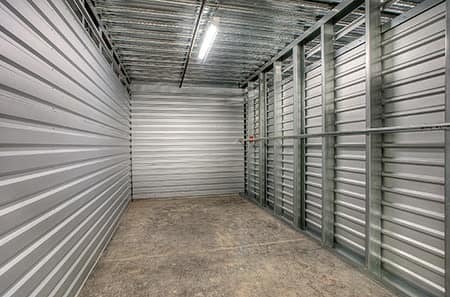 Contact us today to learn more about our brand-new Miami, FL, climate-controlled storage units.